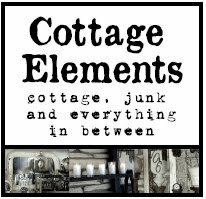 Cottage Elements: Another Week, Another Sale at the French Flea! Well, It's been a bit crazy lately, working on two different occasional sales. Apologies to all those bloggers out there who I haven't been able to read your blogs. My bad! I'm hoping to catch up next week :) But this week is another sale at the French Flea! Actually this is the typical sale week for the Flea, but due to the holiday's it will be open three weeks this month. Wowzer! We're just hopping over there! Trying to keep things new and fresh. And after a booming sale last week, we've had to restock and redo the whole shop. It's looking great and definitely looking a lot like Christmas. I feel a song coming on! LOL! So sit back, relax, listen to the music and enjoy the pictures. WARNING! I went camera happy! Here's hoping it gets you feeling a little like the season is almost upon us! Stay tuned tomorrow for more info on what and where else I'll be this weekend! 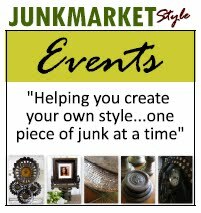 Also, for more info, dates and times on the French Flea, visit their website at www.frenchfleamarketofanoka.com (it opens November 12 at 10:00. Be there early as there will be a line! If you stop by and I'm there, be sure to say hi! UNBELIEVABLE Lani....I can't believe what you guys come up with for your sales. Your pictures are gorgeous. Thanks so much for all the fabulous photos, makes the fact that I'm too far away, just a little easier. You have some incredible displays, thanks for all the inspiration! You guys are really rockin' Christmas at the French Flea! I'm dyin' to get to Buffalo to see your other spots!! WOW!! What great photos, I'll take one of everything. Wish I lived right around the corner. That looks AMAZING! A little brocante right in your own backyard! I just looked and blogger had kicked you off my blogroll! How dare they! I added you right back, you're one of my faves! The pictures are fabulous! You did a great job putting everything together! WIsh you were in Texas! Thanks y'all for all the sweet comments. I have to say, Julie Pierce from The French Flea deserves a lot of the credit! She's the fab designer that is instrumental in all the displays. I usually just follow her lead and then get to take the pictures. 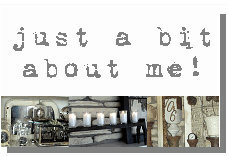 It just makes my blog look better :) And thanks to all the other dealers who bring in their great finds, too. You'll have to check out Gretchen's blog at mimitoriasdesigns.blogspot.com to see her amazing jewelry that is sold there. I'm becoming poor as I seem to purchase at least one piece every month! LOL! Hugs to all!